Today we got a heartbreaking email from someone who cannot afford the amputation surgery costs for her beloved 5 year old Rottie. I have him booked in to be put down on Friday so he does not suffer any more pain. I do not have the finances to cut his leg off. Is there places I can find that might help me financially before I have to put Toby down? What would the cost of this be? What are the long term costs? First of all, does anyone out there have any ideas for our parent? If you do, please post them here ASAP. My Mom told this parent to check with a local vet teaching hospital. One other thing she wanted to mention was that if a parent can’t afford to have it done by a qualified vet, please consider not doing it at all. That hurts me to say it, but the costs of post surgery complications may be astronomical if a vet doesn’t have experience. The Reality Check: What’s It Cost? It’s natural for a parent to think “oh my gosh, what is this going to cost?” when a vet tells them the bad news. If you’re curious, see my Vet Bills Report that shows what I cost my parents for the last three years. In 2005, before I got sick; in 2006, when I got sick, and in 2007, for post care quality food, supplements, etc. My surgery was done at a teaching hospital, which cost less than a private practice vet (about $1300 for the surgery). 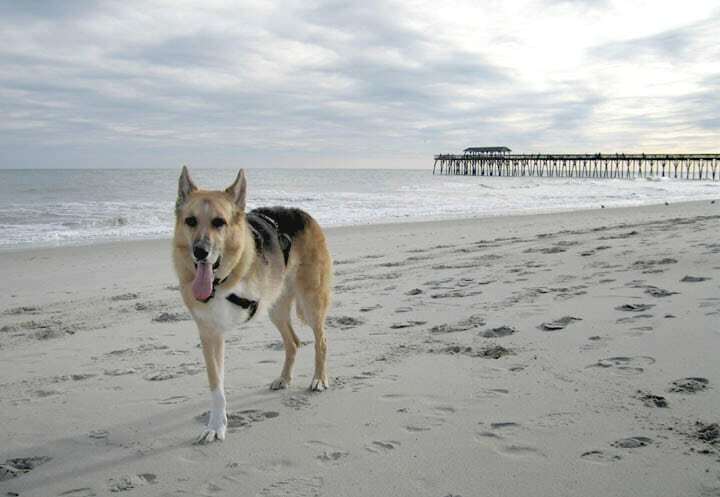 It would be a beautiful world out there if all of the beloved doggies had parents with the bones to care for a tripawd. I hope that our Rottie friend’s parents find a way to keep her healthy, happy and romping around for many, many more years. Sorry to hear about Toby — you might try contacting the founders of Zuke’s dog treats and the Dog and Cat Cancer Fund. Their goal is ultimately to help people afford treatment through donations, but may have some resources they can point you toward in the meantime: http://www.dccfund.org/treatment.html. The clinic that did my dog’s surgery also offered payment plans, and something like that might help.